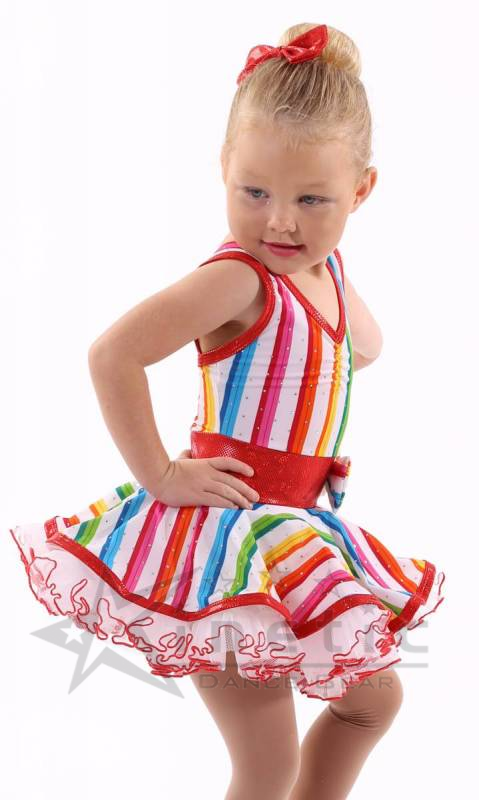 Candy striped dress with red trims, ruffled tulle petticoat and built in knickers. Candy stripe dress, white nylon knickers and tulle circle with gathered white tulle sewn on. 6cm white nylon frill with red babylock on the edge of tulle. Candy bow with tulle inside and red centre. Red band and binding trims.